Aeration is the most underused and undervalued maintenance operation in British lawn care. It should not be carried out on fixed dates but as required. As the lawn receives traffic during the year, it will become more and more compacted. This will be exaggerated at times when the lawn is wet. Aeration is the mechanical process of fighting compaction and thatch by punching thousands of cores from the soil. If you do not have access for our machinery we can offer you a liquid aeration treatment. We are also one of the very few lawn care companies that can offer both solid and hollow tine aeration, once again offering the best option for your lawns requirements. We will happily advise you if we consider that your lawn requires aeration and supply you with a quotation. We provide Lawn Care and Lawn Aeration services across Surrey, Hampshire, Berkshire, and West Sussex. Scarification should be a regular practice for the lawn as it is used to combat the build up of surface thatch. Thatch is the build up of organic matter under the canopy of the grass leaves on the surface of the soil. Some thatch is desirable in the lawn but when there is an excessive build up it can harbour pests and disease. 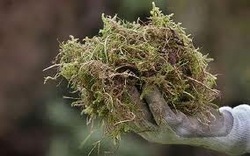 It will also prevent nutrients from getting through and encourage the growth of moss. We will be happy to advise you if we consider your lawn requires scarification and supply you with a quotation. All you will need to do is tell us where you would like us to dispose of the bags of thatch removed. Expert Lawns provide Lawn Care and Lawn Scarification Services across Surrey, Hampshire, Berkshire, and West Sussex.